In a face to face interaction, when you hear someone speaking, your eyes immediately zoom in, and your brain shuts out distractions. If you watch television or movies, when someone is talking, unless you’re watching some extremely artsy film, you want a close-up of whoever is talking. One of the biggest hurdles to teleconferencing has been making interactions, especially interactions with multiple people, more like that real life experience, or at least more like watching TV than watching a continuous wide shot of a room. The Polycom EagleEye Director is a breakthrough technology that automatically detects the speaker in a room, and zooms in on her or his face. 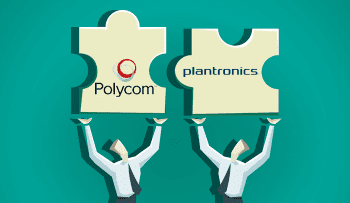 The Polycom EagleEye Director aims to be like the director of a live television program, such as a morning news show. Once it is set up, it never needs manual input or a remote control—everything is controlled by the EagleEye Director’s software. It’s estimated that 80% of communication is non-verbal. The EagleEye director makes it possible for a speaker to make adjustments to his presentation based on subtle cues, such as a listless shift in a seat or a smile. The Director finds the speaker based on the location of the sound, then on facial recognition software. If, for example, two people are having a side conversation, the camera won’t focus in on them, and stay focused on the main speaker. It has two cameras, which means that it can zoom in first, then change cameras, making the experience more like watching television. 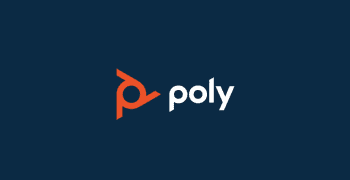 Even Polycom’s own engineers admitted that previous telepresence systems with only one camera had a tendency to make the user a little dizzy as the camera zoomed in and focused on the fly. The EagleEye Director works as well in small boardrooms as it does in large lecture halls. It promises to make meetings more memorable, training more engaging, and gives users a fast return on investment. The EagleEye Director is backwards compatible, and installs easily with any room that has the Polycom HDX teleconferencing system. 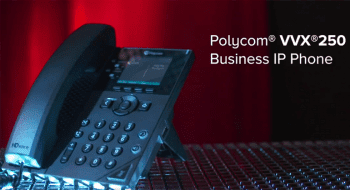 Polycom has been showing off this technological breakthrough at press events and conventions. This new tool for doing business is just one of the many reasons businesses are moving away from old telephone systems, and moving to new platforms made possible with the adoption of Voice Over Internet Protocol.